WonderGel Company appeared on the market not so long ago, but it has already evaluated by the huge number of satisfied customers. The range of products has been extended with two latex pillows. They are so unusual that we could not pass up. In this review we will discuss Breathe Gel Extra Cool Latex Pillow Traditional Shape. Let’s start from the beginning. This cushion is made in the traditional shape of pillows. It is made of 100% natural hypoallergenic latex. Also the bundle includes a pillowcase with a zipper, which can be easily removed and washed. The obvious question is – what’s so unusual? WonderGel specializes in Column-Buckling Gel seat cushions. Therefore, they decided to experiment and add special Breathe Gel on both sides of latex pillows which must ensure a constant coolness. And as a result, the pillow really does not heats up throughout the sleep and it’s actually great! 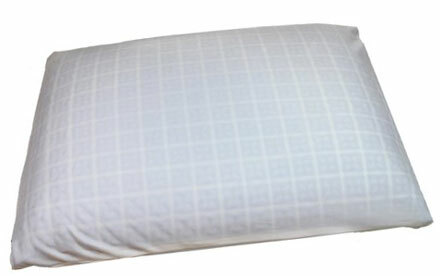 Unfortunately Breathe Gel latex pillow has a small drawback – its size. It only comes in one size, so for those who like big pillows it probably will not do. Also, it is not sufficiently thick, and probably will not suitable for those who like to sleep on the side. But this is an excellent choice for those who like to sleep on the back or stomach. And considering how natural latex is durable, you can enjoy the pleasure of sleeping on the Breathe Gel latex pillow for years. The price of this latex pillow by WonderGel is $ 89.00, but Amazon are often make discounts and today you can buy it for $ 44.99. 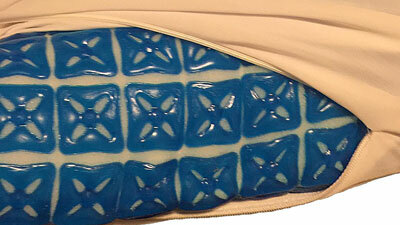 In our opinion it is a great price considering that this is a unique natural latex + Patented technology Breathe Gel. In general, if you are looking for a new pillow we recommend to pay attention to it. Breathe Gel lets you feel the coolness throughout the night. All latex pillows by WonderGel have a 30 day Money-back. But you must remember that it must be in the original packaging and without any traces of use. Otherwise, you won’t be able to return your pillow if it doesn’t suit you. If you are already the owner of this pillow or just going to buy it, share your opinion to us, maybe it will help someone to make the right decision.